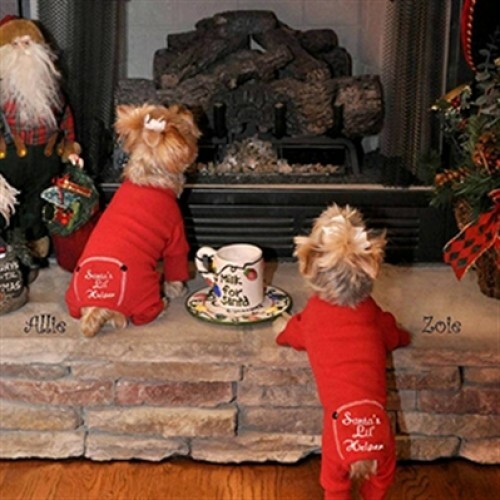 PetHangout is getting your pooch into the Holiday Spirit with our Santas Helper PJs from our Dog Pajamas collection. This super soft 100% cotton thermal is so cozy! Stretchy fabric keeps your baby as comfy as possible. And did we mention super cute on the bottom? 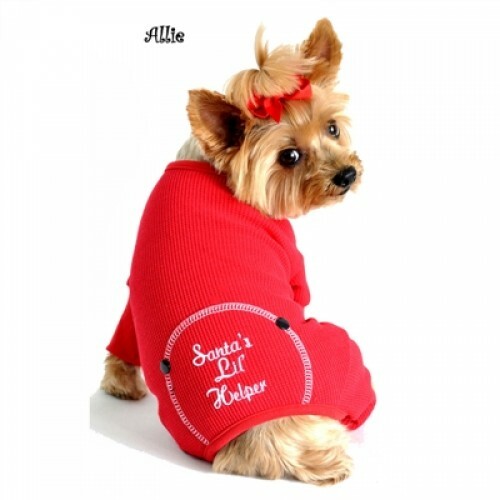 Embroidered with “Santa’s Lil’ helper” for your little “elf”. PetHangout has more comfy pajamas for your dog like our Ducky and Lion pjs.